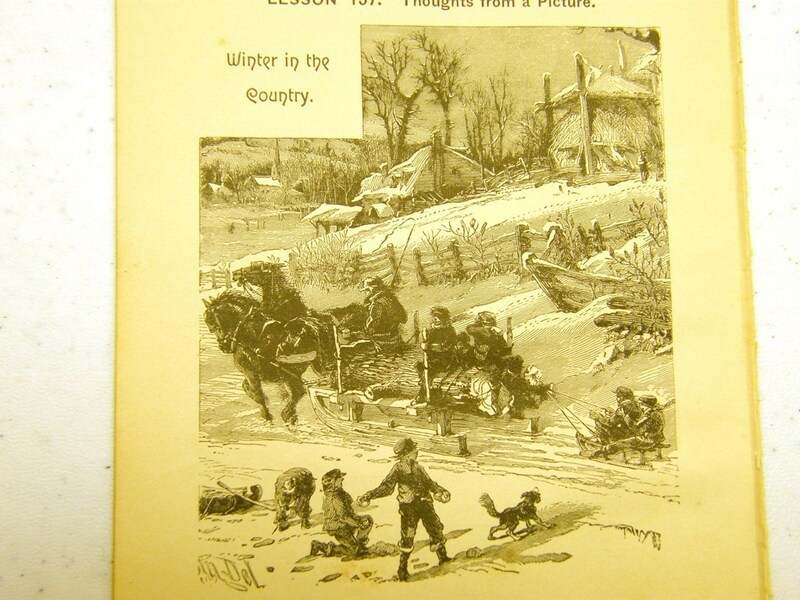 Detailed winter activities in this illustration of a vintage country winter. 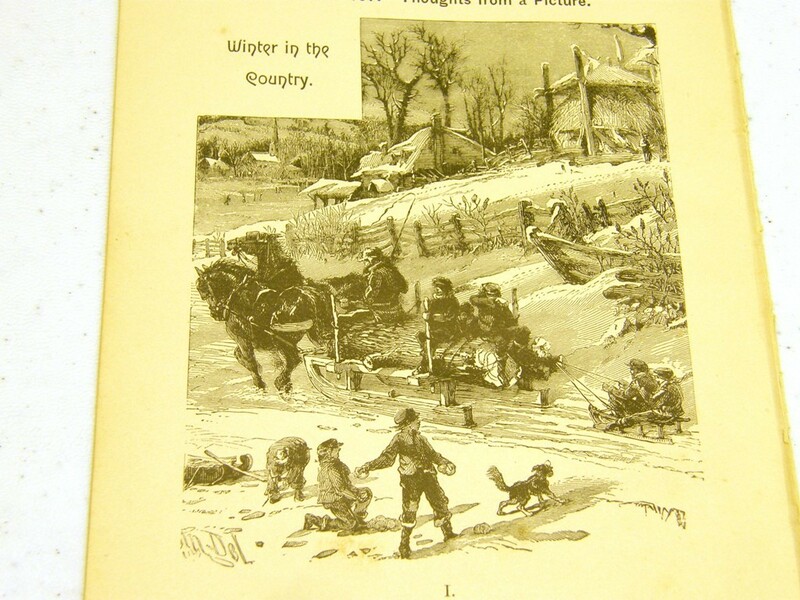 Book pages size 5.25 x 7.5 (inches) From First Lessons in Language by Southworth and Goddard. 1891.